Item2019-03-12-02 - Library news: Construction begins! 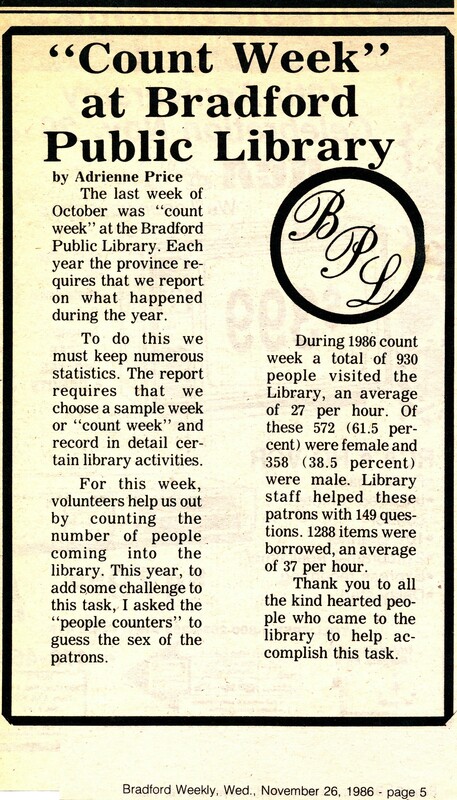 A newspaper article about "Count Week" at the Bradford Public Library. 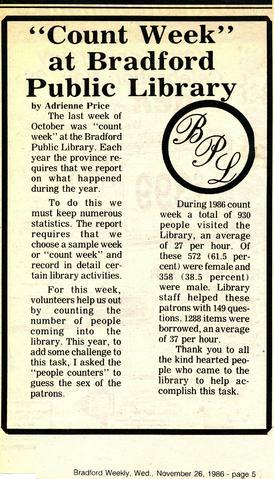 "The last week of October was "count week" at the Bradford Public Library. Each year the province requires that we report on what happened during the year..."